Microsoft has developed many useful applications which are supported in your iPhone and android. Some of these apps have gained much popularity recently. They are also very useful. Installing them can be of great use. So let me take you to a tour to explore some features of these apps. The Hub keyboard is a very useful tool. It modifies the common keyboards with many other useful functionalities. It lets you stay in context and brings information from different services to your fingertips allowing you to complete the tasks faster. It helps us out of the difficulty of switching between different apps to complete our tasks. 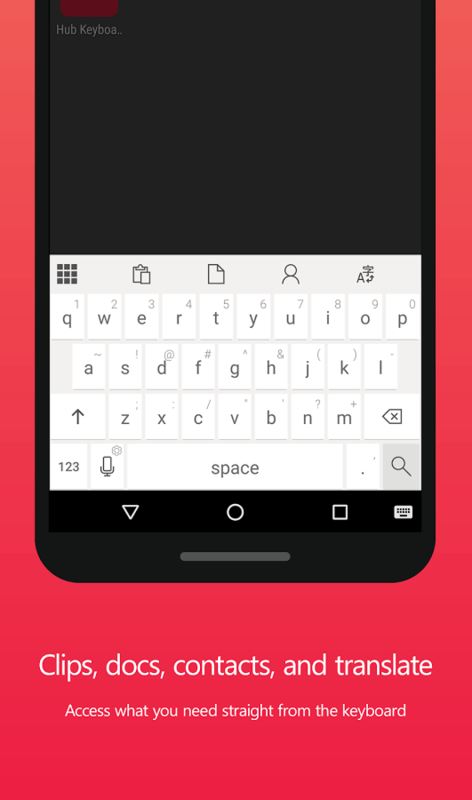 The keyboard incorporates many additional functionalities that helps us make the tasks effortless. 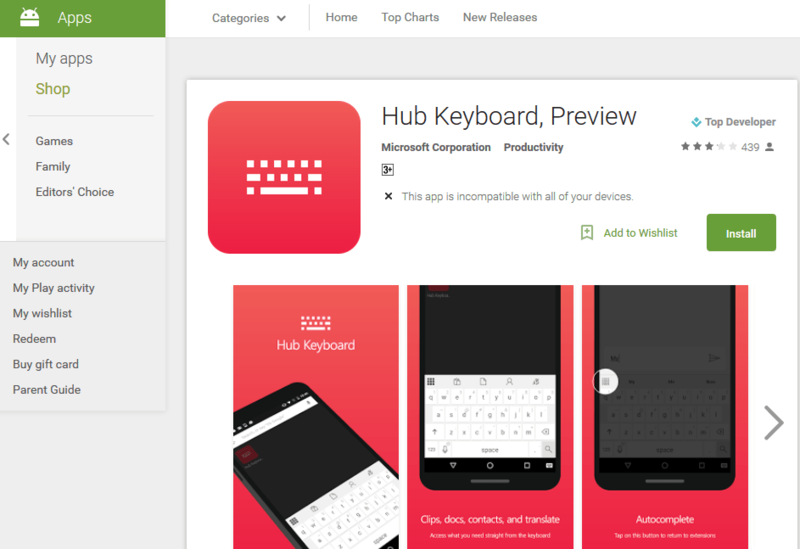 Hub keyboard can be used when you need to use clipboard, access documents or contacts, translate and many other purposes. 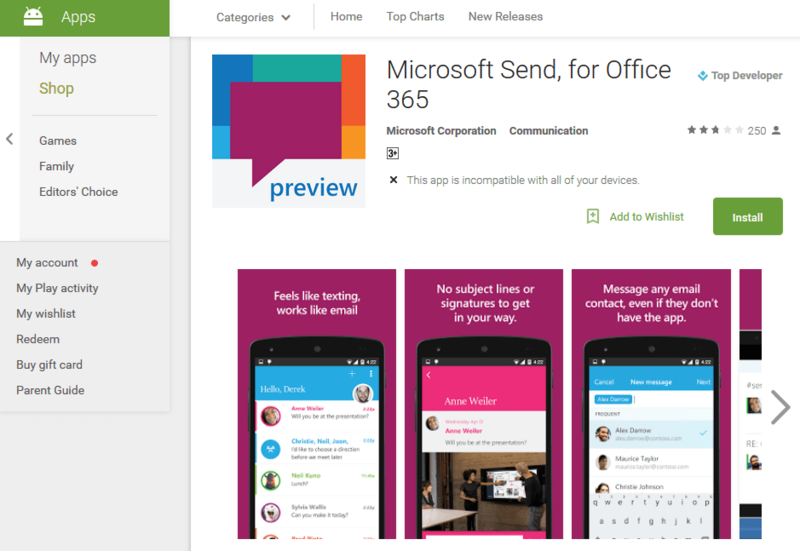 Send is a Microsoft application that works like a messenger but is actually an e-mail client. You can sign in the app with your e-mail account and can start sending messages as in a messenger. It gives the complete feel of a messenger. You can send message to anyone with an email address. The message will be in your mail inbox also. So needn’t worry about loss of any data. 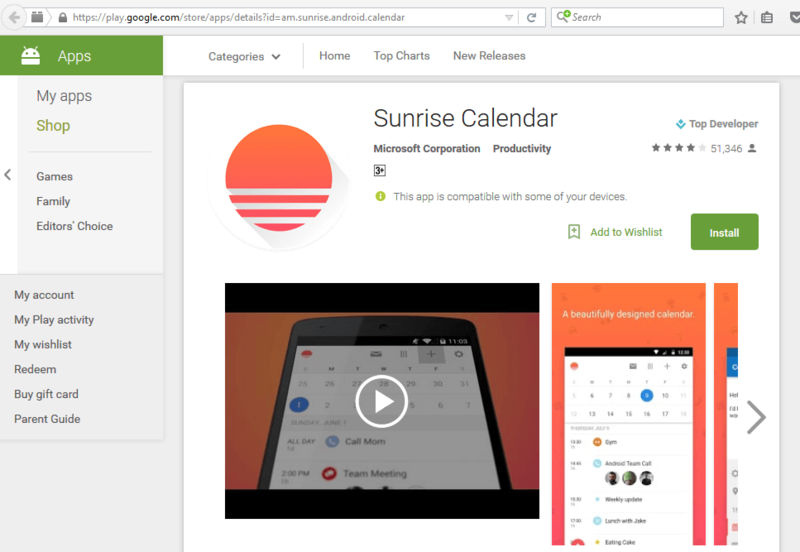 The Sunrise Calendar is a great calendar app from Microsoft. This app make sure that you are up to date in your activities. It helps to plan your activities. Also it can connect with your favorite applications like Facebook. The app can synchronize with your PC and tablet making sure that you can access the contents according to convenience. This surely is a great choice for a calendar app in your android phone. The beautiful design and interesting features adds the popularity. Microsoft have incorporated some of its features to Onlook and this does shows its worth. This is a great app among the friends circle or a family group. This helps in event planning and opinion gathering. The app actually makes all these activities much easier. If you want to go on a trip and choose the destination or pick a restaurant, you can just post the question and collect the opinions. Thus its really helpful in event planning. For using this in a group among friends or family, you must make sure that everyone uses Tossup. Then you can easily post the questions and collect the votes. Thus decision making in a group is made easier with Tossup. 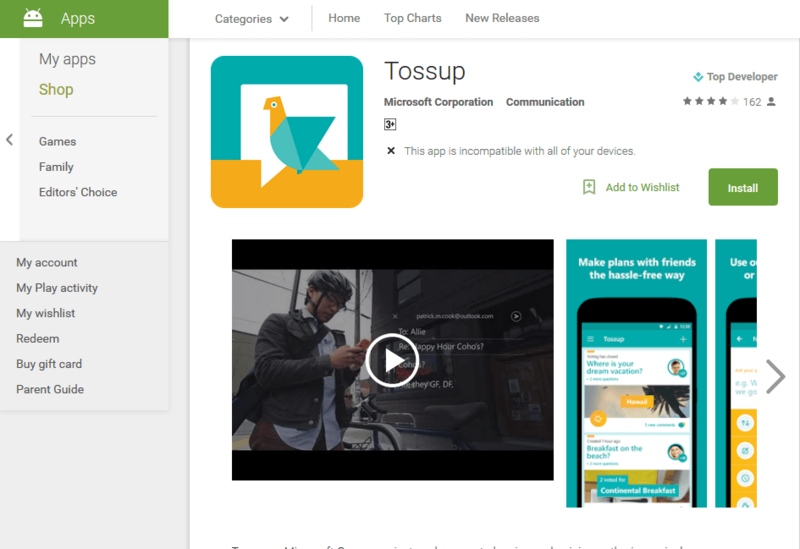 This app gives an android version companion for Xbox One. This actually helps to connect and control your Xbox One. We can turn it on or off using the SmartGlass interface. This helps to use Xbox in your living room and on the go. 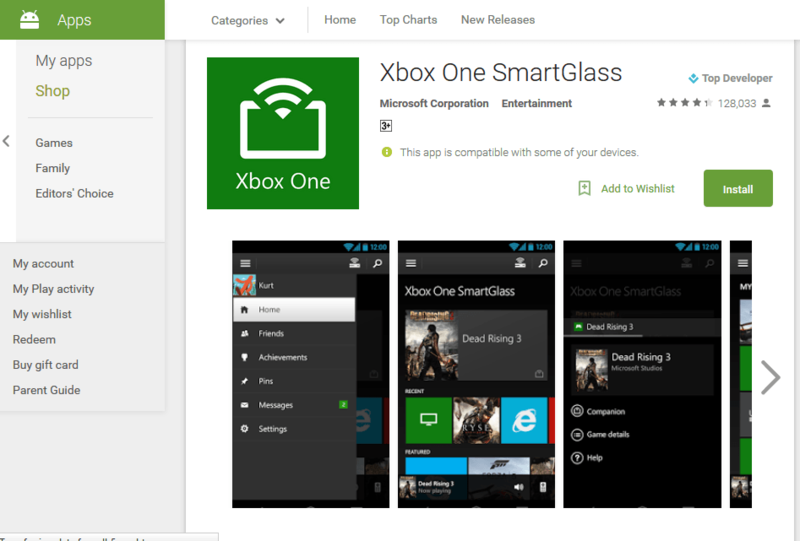 You can use this app to navigate to your Xbox One console using your device’s keyboard and touch, control your media and set top box with the SmartGlass remote control, browse the web on your TV using your mobile device,enhance what you are watching or playing with SmartGlass companions, increase performance with faster connections and reliability.